Institute of Management Technology, Nagpur hosted Concord ‘17 from 6th to 8th January, 2017. 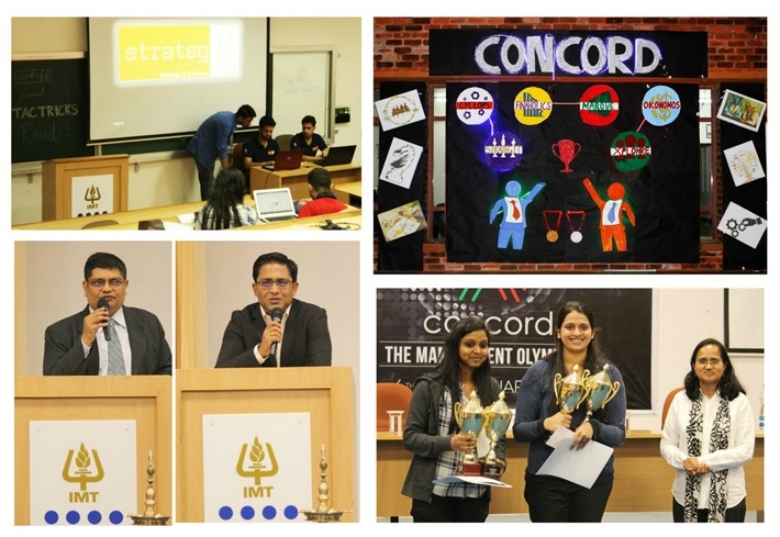 The annual national management Olympics had the central theme as “The Next Level” where the various domains of management i.e. marketing, finance, operations, human resources, information technology and economics were incorporated in management events and activities. This year varied participation from IIM Indore, Institute of Management, Nirma University, Welingkars Mumbai, IMI New Delhi, K. J. Somaiya, NIBM, Pune, SDMIMD Mysuru and SIES Mumbai was seen. In the opening ceremony, the honourable guests, Mr. Hiral Kayal, Vice President, Cloud Applications, Oracle and Mr. Prabhash Gokarn, Head Marketing & Business Development, Tata Steel, inaugurated the event with the lighting of lamp. Dr. Subhajit Bhattacharya, Director and Dr. Jitendra Sharma, Dean (Academics) of IMT, Nagpur felicitated the guests. The guest speakers imparted the students with immense knowledge and expertise about marketplace trends and the power of social media across various functional areas. The academic forums of the institute organised events which aimed at sharpening and stimulating the intellectual ability of the students. xploHRe, the HR forum, broke the ice by featuring video clips and asked the participating teams to rediscover the various theoretical concepts of the subject. Marque, the Marketing forum, stimulated the participants to revive the dying Indian brands through campaigns and competitive strategies whereas Okonomos, the Economics forum, pushed forward the current demonetisation issue to the student managers in the house and invoked them to discuss the impact of the same on their investment portfolio. StrategIT, the Strategy and IT forum, laid emphasis on preparing a product design and competing with their new chocolate start up plans. Finaholics, the Finance forum, challenged the participants to monopolise and maximise their profits for a given scenario. 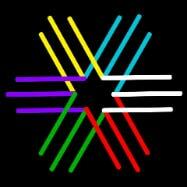 Cyclops, the Operations forum, tested the teams for their innovative and feasible ideas to carry out business.